I think I mentioned this earlier, but Stella is ecstatic that we have 4 choices for dinner this week. A friend was going out of town and gave me half of a pumpkin – so I decided to make a pumpkin soup with what I had on hand. 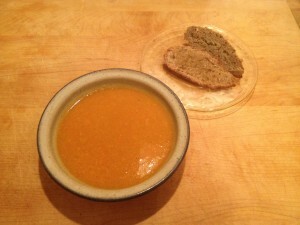 This turned out to be Stella’s favorite soup of all the soups I have ever made! 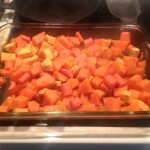 It also helped that there were two sweet potatoes left in the pantry. 2. Place tallow into a roasting pan and place in the oven to melt. Once melted take the baking dish out of the oven. 3. 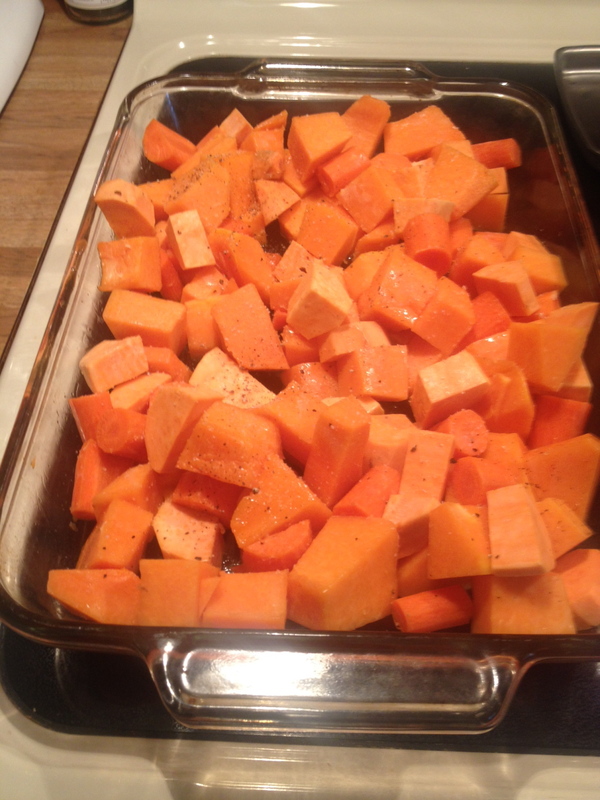 Prepare your pumpkin, carrots and sweet potatoes. Add to the roasting pan, stirring to coat all. Season with salt and pepper. 4. 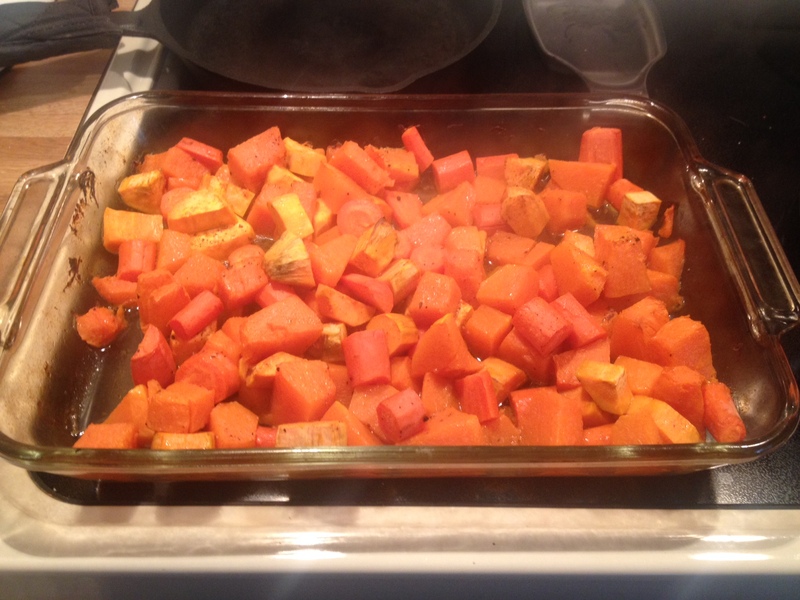 Roast the vegetables for about 40 minutes, stirring several times during that time. 6. 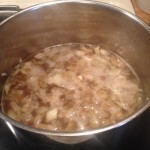 In a large soup pot, melt some lard, butter, ghee, olive oil. 7. Heat your broth in a small sauce pan. 8. 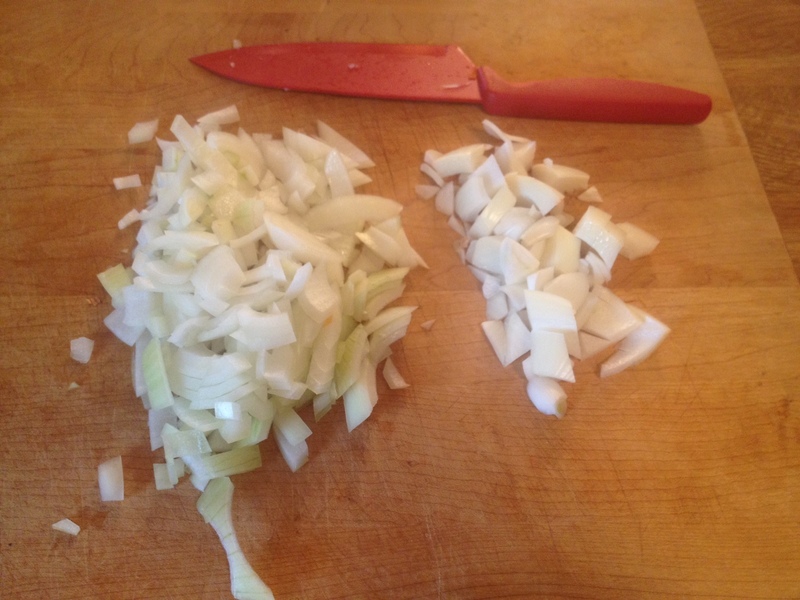 Prepare your onion and garlic. 9. 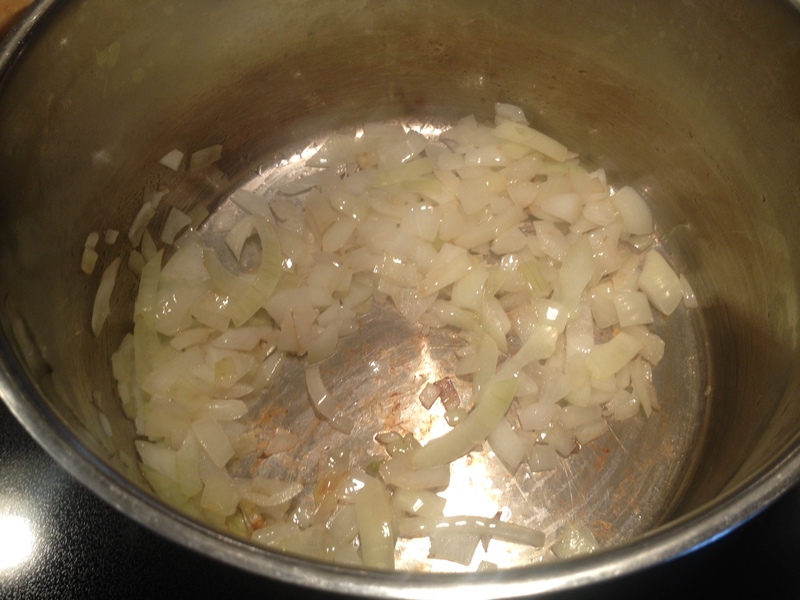 Add the onion to the soup pot and saute until they begin to brown. 10. 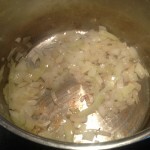 Add the garlic to the onion and saute for about 5 minutes more. 11. 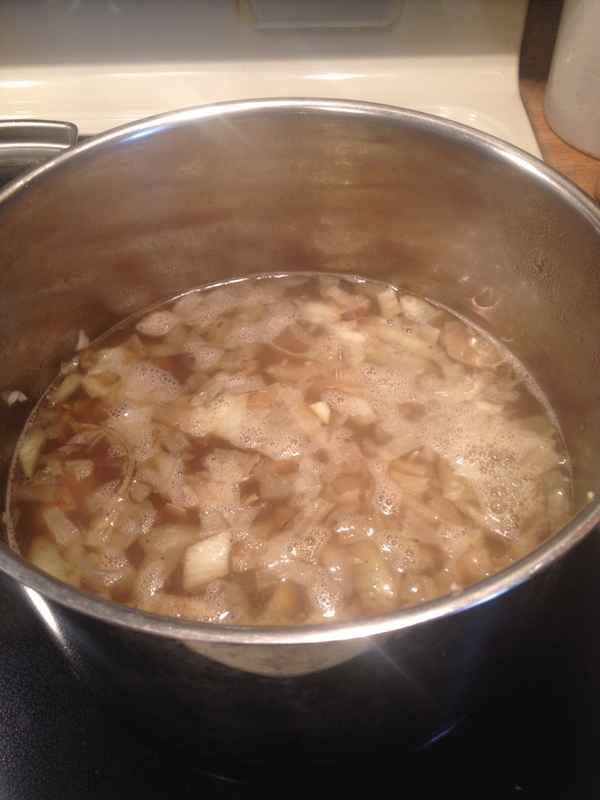 I used a combination of chicken broth and vegetable broth. I poured hot water into the chicken broth container to get all the fat from the side and poured into the soup pot – it was about 2 cups. 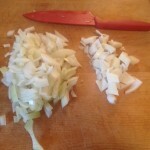 I let that mix with the onion and garlic for about 10 minutes. 12. 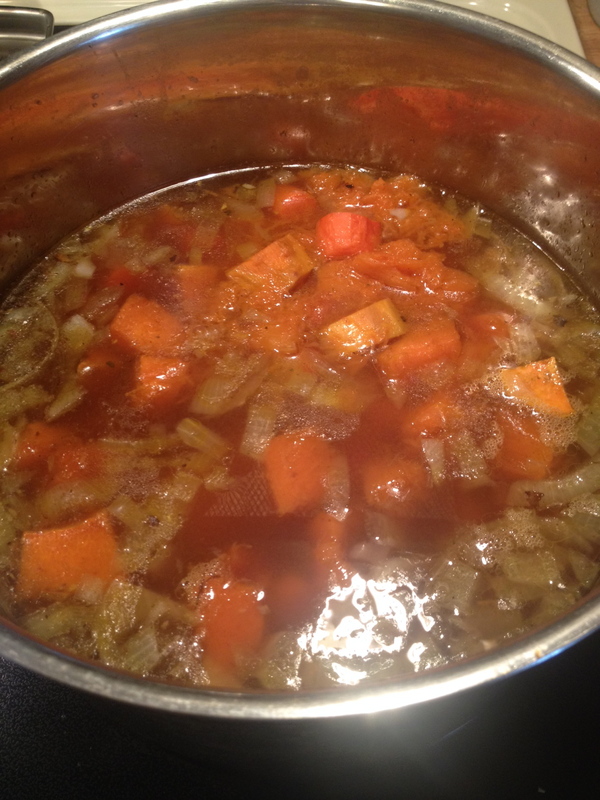 Add the heated broth to the soup pot. 13. 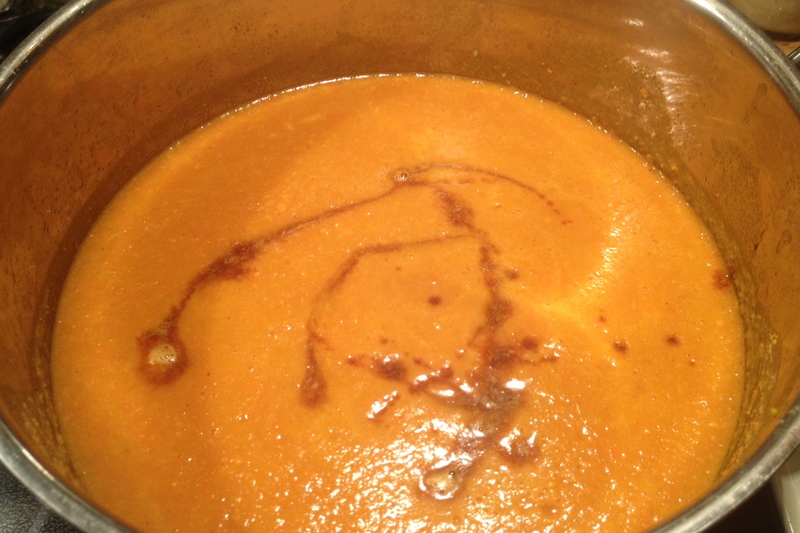 Add the roasted vegetables, the liquid to the soup pot, let the flavors meld together for at least 30 minutes. 14. 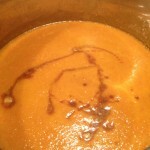 With a hand held blender, puree the soup. 15. Add the soy sauce, blend and serve. 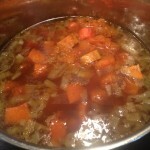 This entry was posted in Homesteading, Life, Recipes, Soup and tagged food stamp challenge, pumpkin, recipe, soup. Bookmark the permalink. That sounds great…what is tallow? sounds yummy. 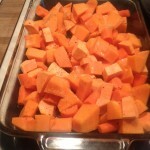 I never use fresh pumpkin, could I substitute canned? Wonderful recipe. Made me grin to read that it is Stella’s all-time favorite!! She has exquisite taste.